The Book of Mormon is the record of two great civilizations—at least allegedly. First the Jaredites, who left the Tower of Babel and migrated to the Americas twenty-two hundred years before Christ. The second migrated from Jerusalem around six-hundred BC, and divided into two great nations—the Nephites and the Lamanites. 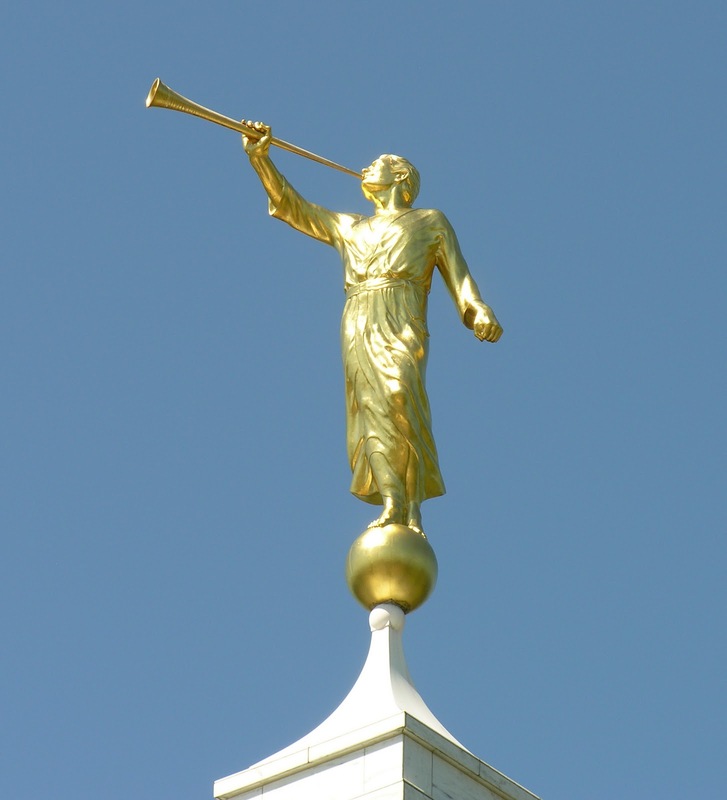 Along with his father Mormon, Moroni inscribed the most correct of any book on earth in Reformed Egyptian hieroglyphics and buried it in the hill of Cumorah. After bring resurrected as an angel, Moroni appeared to the prophet Joseph Smith, and instructed him relative to its destined translation into the English language. Smith, in due course, found the book inscribed upon golden plates along with a pair of magical eye glasses that he used to translate the Egyptian into English. The result was a new revelation called the Book of Mormon. There is a problem. No archaeological evidence for a language such as Reformed Egyptian hieroglyphics. No archaeological evidence for the great civilizations chronicled in the Book of Mormon. No archaeological evidence for lands such as the land of Moron that is described in Ether 7. No anthropological evidence that the Nephites and the Lamanites migrated from Jerusalem to Mesoamerica. Indeed, both archaeology and anthropology militate against the people, places and particulars that are part and parcel of the Book of Mormon and demonstrate conclusively that the book is little more than the product of a fertile and you might say enterprising imagination. Here is the deal. Like the Book of Mormon, the Bible has been roundly denounced, as a cleverly invented story. But, there is a difference. Unlike the Book of Mormon, the Bible is buttressed by history and evidence. While the archaeologist spade continues to mount up evidence against the Book of Mormon, it has piled up proof upon proof for the people, places, and particulars that are inscribed in the parchment and papyrus of biblical manuscripts. I’ve written about that evidence in my book Has God Spoken? Blog adapted from the January 12, 2017 Bible Answer Man broadcast. Howard Berkes for National Public Radio reported that this coming Sunday (March 11, 2012), Mormon leaders are formally warning followers to stop controversial baptisms for the dead, particularly of “unauthorized groups” such as “celebrities and Jewish Holocaust victims,” and a letter will be read in every congregation stating: “Our preeminent obligation is to seek out and identify our own ancestors…Those whose names are submitted for proxy [baptisms] should be related to the submitter.” There is also concern over non-Mormons being offended in finding out their deceased family members had been baptized into Mormonism. Our preeminent obligation is to seek out and identify our own ancestors. Those whose names are submitted for proxy temple ordinances should be related to the submitter. Without exception, Church members must not submit for proxy temple ordinances any names from unauthorized groups, such as celebrities and Jewish Holocaust victims. If members do so, they may forfeit their New FamilySearch privileges. Other corrective action may also be taken. Members are encouraged to participate in FamilySearch indexing which is vital to family history and temple work. Bishops are asked to post this letter on their meetinghouse bulletin boards. Church members may seek the assistance of the family history consultants in their area for additional information, if needed. Name submission policies are also clearly stated on New.FamilySearch.org. We appreciate the faithful adherence to these policies by all members of the Church. 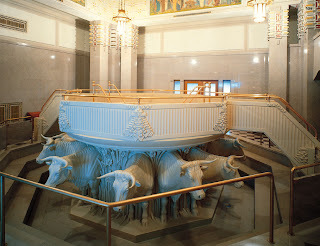 Baptism for the dead is one of several Mormon Temple Rituals vital for attaining godhood, which Hank Hanegraaff contends have no biblical sanction. Although just exactly what the apostle Paul meant in speaking of the “baptism for the dead” in 1 Corinthians 15:29 is a matter of some debate, the Mormon interpretation and practice is clearly not consistent with the teaching of Scripture. 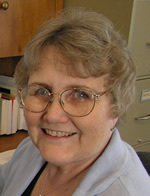 The Christian Research Journal has well-critiqued baptism by proxy and set forth viable interpretations of 1 Corinthians 15:29 in the articles “The Mormon Doctrine of Salvation for the Dead: An Examination of Its Claimed Biblical Basis” by Luke P. Wilson, and “Baptism for the Dead: Discerning Historical Precedent from Mere Prose” by Steve Bright. What Does the Mormonism of Mitt Romney Have to Do with the Ballot Box? Christians are to understand that there is a great divide between Christianity and the Mormonism of Mitt Romney. Mormon beliefs are clearly antithetical to a biblical worldview. Hank Hanegraaff, in the Complete Bible Answer Book, offers a helpful synopsis under the section entitled “Is Mormonism Christian?” Also recommended is Hank’s resource The Mormon Mirage: Seeing Through the Illusion of Mainstream Mormonism. It is true that beliefs determine values and behavior (please see “What We Think, What We Believe, How We Act” by Gretchen Passantino), so the political candidate’s faith (Christianity, Islam, Judaism, Hinduism, Buddhism, Mormonism, atheism, etc.) does indeed contribute to his or her polices; however, a political candidate’s religious belief is not necessarily the game changer at the ballot box, and there are many other factors to take into consideration in a biblically sound and robust voting strategy (please see “Wise as Serpents: Christians, Politics, and Strategic Voting” and “Is it Permissible for a Christian to Vote for a Mormon?” by Francis J. Beckwith). Ultimately, the Christian must consider whether or not it is possible for churches to support non-Christian political candidates to bring about positive changes in legislation for the common good.